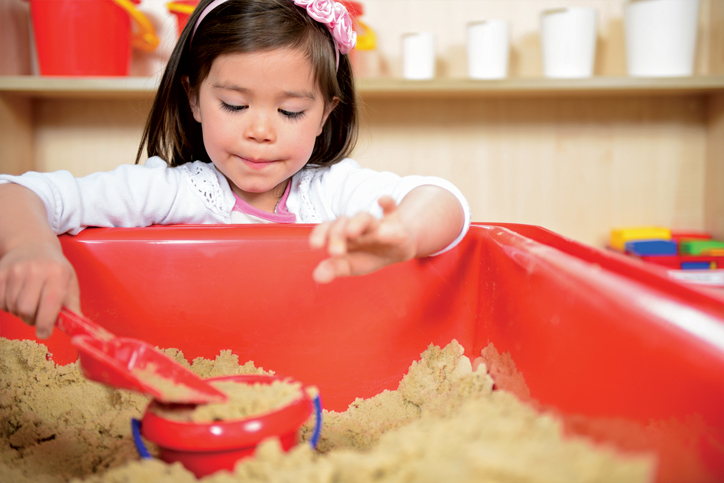 The open-ended nature of this natural material makes the wet sand resource collection a favourite place to play for many children. 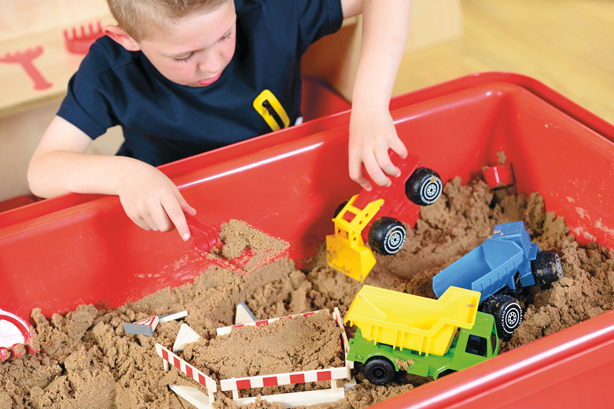 They will enjoy the challenge of moving and moulding the sand into different shapes and forms, making impressions and patterns and playing imaginatively with this wet sand resource collection 3-4yrs. 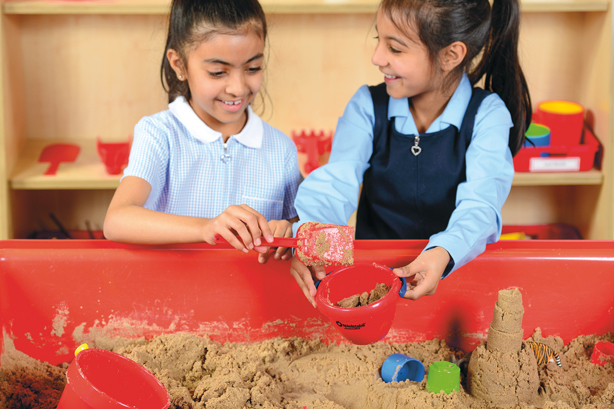 By using a variety of buckets, graduated beakers and sand moulds, children can experience the properties of sand and compare size and shape. 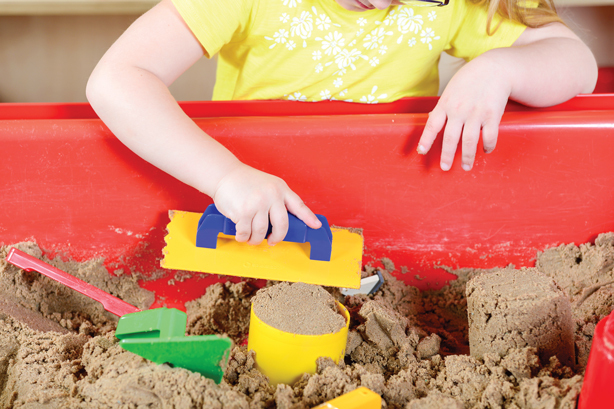 Scoops and rakes create interesting surface patterns. 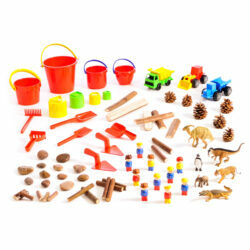 Small world brings exciting opportunities for re-creating familiar events. 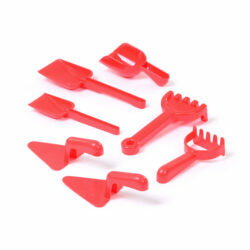 Set of Buckets – Small 11cm and large 2.5ltr red buckets. 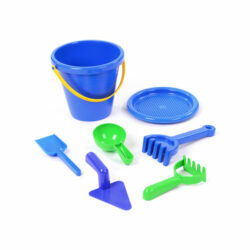 Set of Rakes & Spades – 15cm Rake, 24cm Rake, 20cm Spade and 25cm Spade. 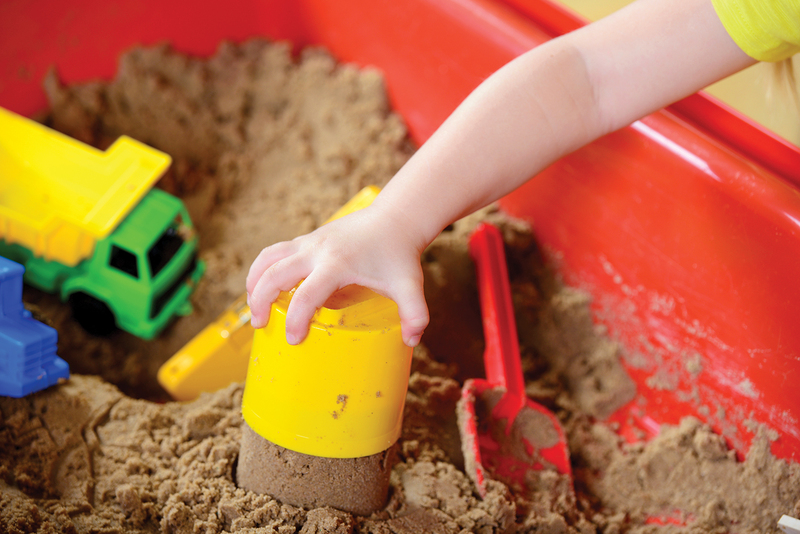 Children can explore pattern making in the sand with rakes and spades and investigate how wet sand moves and moulds. 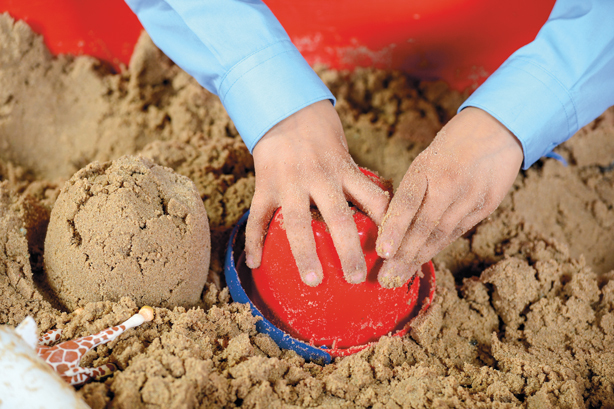 Set of Scoops and Trowels – 15cm Red Scoop and Red Sand Trowel. 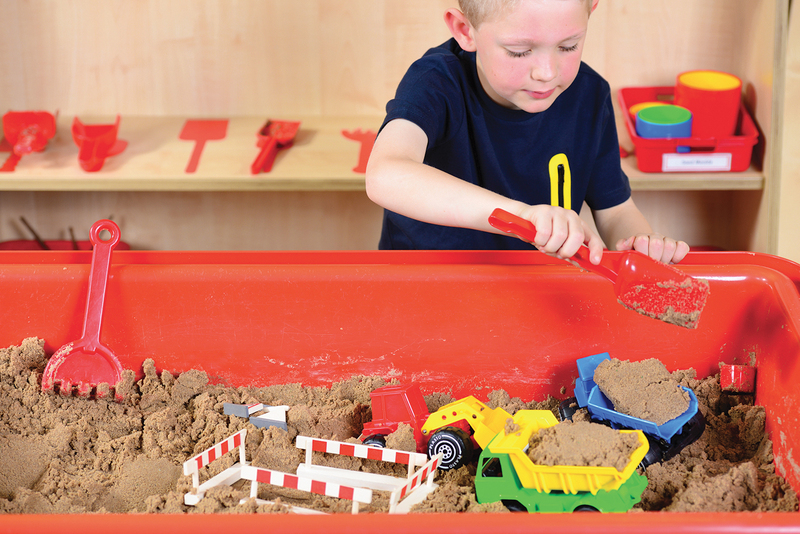 Ideal for making new moulds and formations in the sand, this set makes the possibilities endless. Set of Dinosaurs – A favourite with all children, this set of 6 dinosaurs will be irresistible. 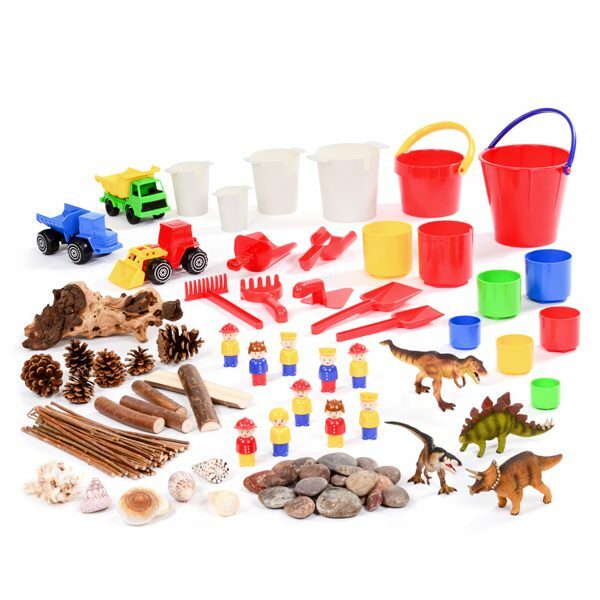 Children will love adding these to enhance their stories and will stimulate their expression of language, sounds and speaking in character. 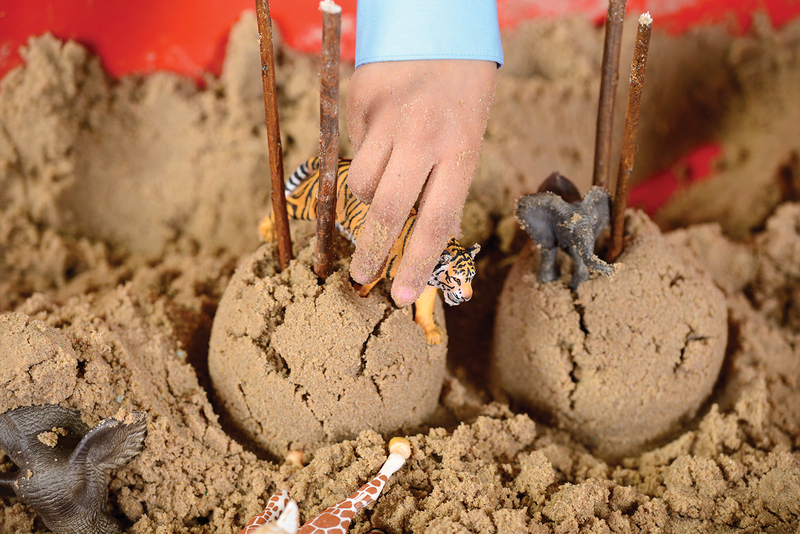 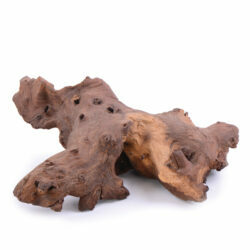 Set of Natural Materials – Willow sticks, wooden blocks, logs and natural stones – these natural materials are a great storytelling enhancement as children build homes or settings for their small world figures.